Most new shooters start with a .22LR weapon. And they have various opinions on which .22lr bullet is the best option. The ammo market currently has plenty of selections for you. However, you should find out which works best for your rifle. In this article, we will mention the top 7 best ammo for 10/22 Ruger with their desirable qualities. From that, you can choose the one that fits your weapon. 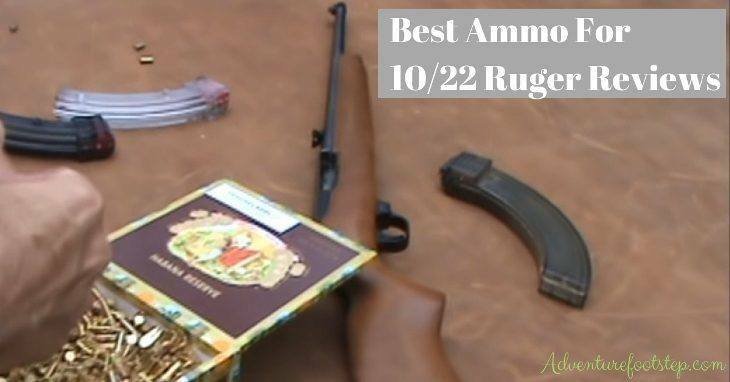 Known for being high quality and affordable, Aguila is one of the best ammo for 10/22 Ruger. It is also renowned for advanced innovations like Aguila .22 Sniper Subsonic and the shotgun mini bullet. Aguila is a great choice at a good price for target shooting or plinking as well as small game hunting with admirable performance. This type of bullet is superbly reliable, accurate, and consistent with good standard statistics. The Aguila ammo is made of only high-quality materials under a strict quality monitoring procedure in a modern and advanced factory in Mexico. In the list of top ammo for 10/22 Ruger, there aren't many counterparts that can bring good value (for money) as same as Aguila can. 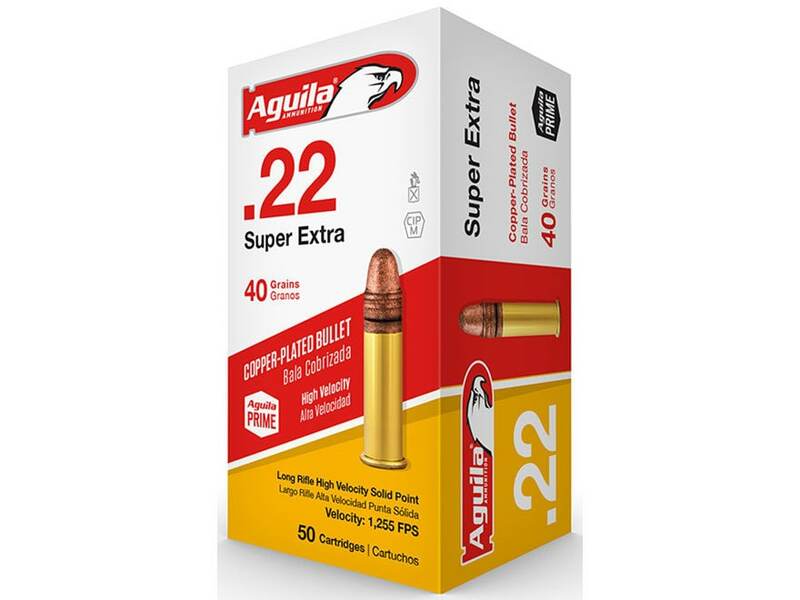 With this product line, you can choose Aguila 22LR Super Extra Standard Velocity or Aguila 22LR Super Extra High Velocity for the 10/22 Ruger. The Standard Velocity comes packed in boxes of fifty or cases of five thousand with muzzle velocity at 1130 fps. Meanwhile, the muzzle velocity of High Velocity is 1255 fps with a maximum effective range of 100 yards. The CCI's bullet style is CPHP (for copper-plated hollow point) in the shape of teardrop hole giving a perfect break. CCI Mini-Mag is likely the most famous .22LR bullet nowadays. This 36-grain bullet owns the maximum effective range up to 75 yards. It is a fantastic selection for plinking lovers. The CCI Mini-Mag is available in boxes of one hundred rounds with a more reasonable price than its competitors. It brings the muzzle velocity at 1260 feet per second. Especially, hundreds of bullets can be burned with perfect accuracy. CCI Mini-Mag 36gr is on-the-shelf in boxes of one hundred rounds. 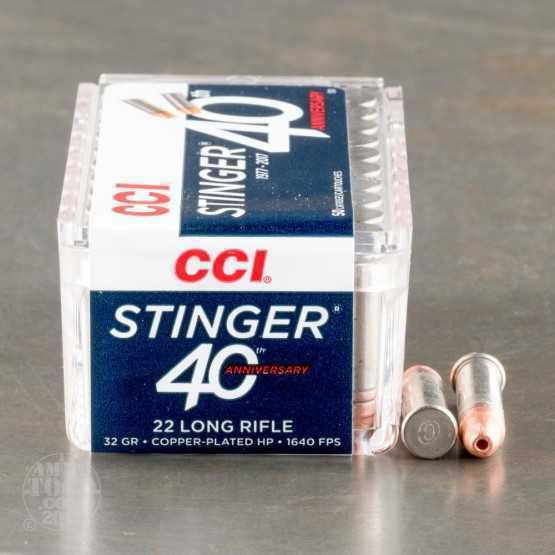 The CCI Stinger 32 gr, which has a high velocity, is another choice in our list of best ammo for 10/22 Ruger. However, we suggest you shouldn't use too much these hypervelocity bullets with the 10/22 Ruger because their high velocity usually gives you a higher auto-loading pressure, resulting in tear and wear on the receiver. 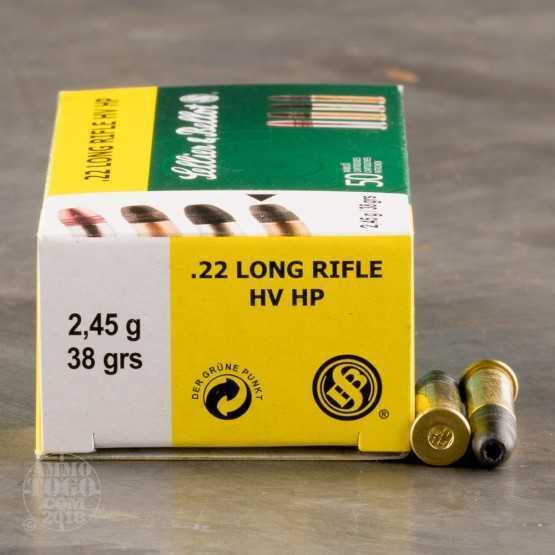 With the hypervelocity providing a deeper penetration, this ammo is a perfect choice for bigger varmints hunting. Related: Get for you best scope for ruger 10/22 also help you have best result when hunting. This type of ammo is a good version of the Federal Gold Medal system. Its style is rimfire lead ammunition with the weight of 40 gr, leading to high accuracy and subsonic speeds. It is perfect for competitions and target shooting. 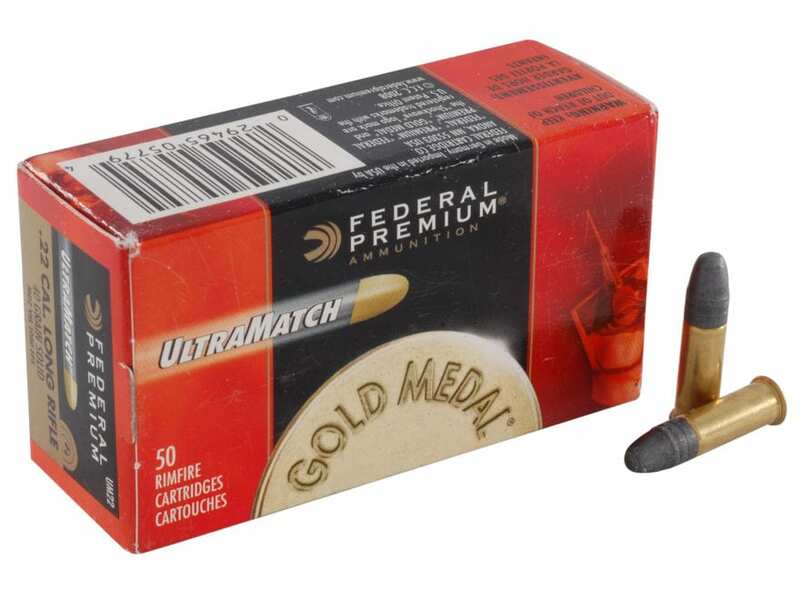 Federal Gold Medal Ultra Match 40gr offers long maximum effective range, typically further away 100 yards. Although the price for boxes of fifty rounds of Federal Gold Medal Ultra Match 40gr is a little higher than those of others, many weapon enthusiasts still choose them for shooting. This 38-grain round is one of the most extendedly-used and loved for a 10/22 Ruger. The Sellier & Bellot High Velocity has the design of a lead hole-point bullet with the muzzle velocity at 1230 foot per second. This bullet is perfect for plinking and hunting. It comes in boxes of fifty rounds. However, the only disadvantage of this ammo is the fouling. The lead bullets usually leave the fouling in rifles on large quantities. Also, this lead hole-point round is prohibited in several areas. So make sure that you understand the local regulations when you want to hunt with these ammunitions. This round style is a distinct selection for various uses like hunting, plinking, and target practice. It commits to decrease fouling due to its design of CPHP. The muzzle velocity is at 1280 fps. 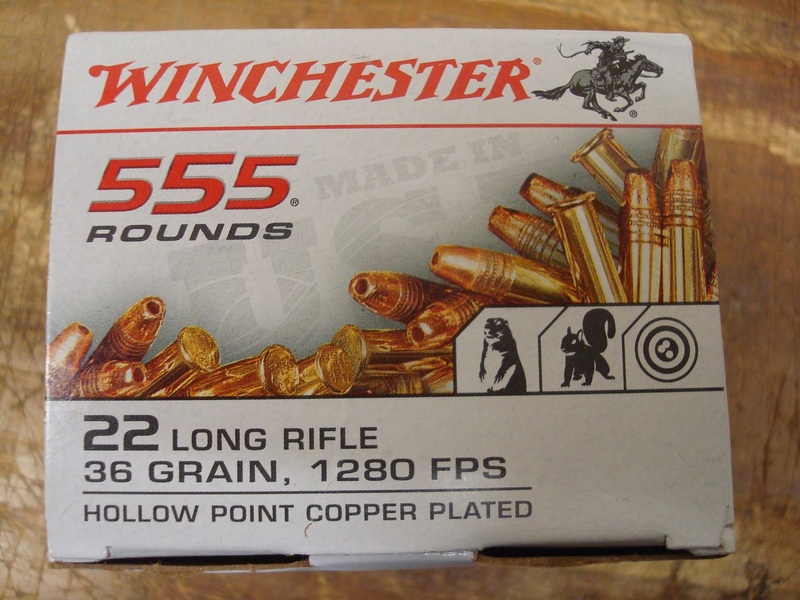 This bullet is on-the-shelf in boxes of 333 rounds and 555 rounds with an affordable price. We summarize detailed information on best ammo for 10/22 Ruger in the table as below. You can compare their indexes to choose yourself the ammo fits with your 10/22 Ruger. However, there is no type of ammo that can fit all 10/22 Ruger rifles. So you should purchase several rounds of each kind of bullet and test them with your rifle to find out which ammo works best for your gun. Aside from the list of best ammo for 10/22 Ruger we mention in this article, if you have another option, let us know! Any more questions, feel free to contact us! Full Metal Jacket Vs. Hollow Point: What One Is Better For You? 6.5 Creedmoor Vs. 270: Which Is The Best For Hunting? 6.5 Grendel Vs. 300 Blackout – Which Is Better?